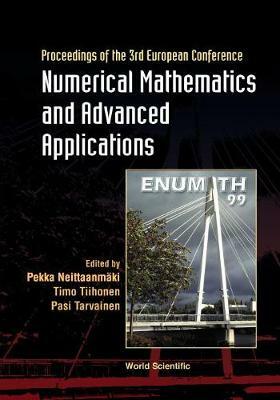 This volume contains major lectures given at ENUMATH 99, the 3rd European Conference on Numerical Mathematics and Advanced Applications.The ENUMATH conferences were established in 1995 to provide a forum for discussing current topics in numerical mathematics. They convene leading experts and young scientists, with special emphasis on contributions from Europe. Recent results and new trends are discussed in the analysis of numerical algorithms, as well as their application to challenging scientific and industrial problems.The topics of ENUMATH 99 included finite element methods, a posteriori error control and adaptive mesh design, non-matching grids, least-squares methods for partial differential equations, boundary element methods and optimization in partial differential equations. Apart from theoretical aspects, a major part of the conference was devoted to numerical methods in interdisciplinary applications such as problems in computational fluid, electrodynamics, telecommunications software, as well as visualization.